Pixvana's Executive Producer Aaron Rhodes took the company's Insta360 Pro on its maiden voyage at Comic Con 2017 in San Diego. Pixvana may be known for its field of view adaptive streaming technology (which powers Steam’s 360 video player), but the Seattle-based startup is also in the content creation business. 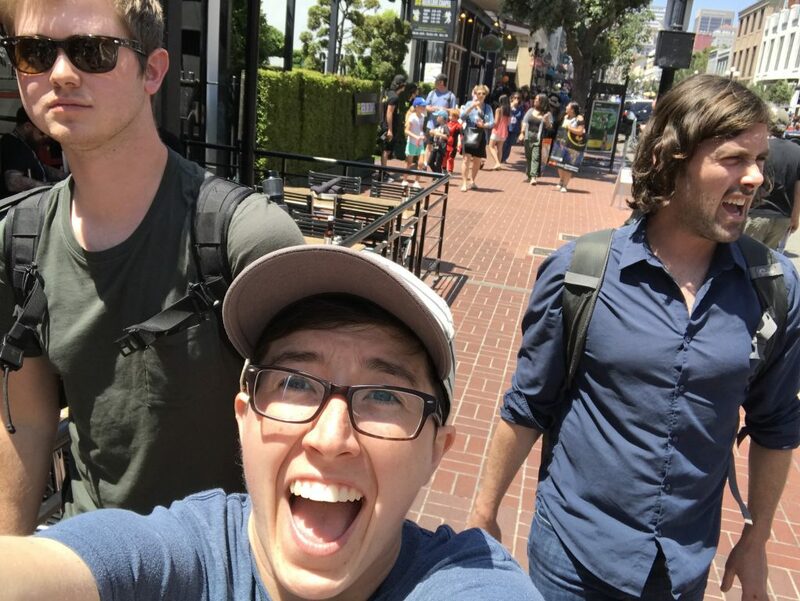 Pixvana’s four-person in-house content team has produced around 40 VR videos since it was formed in March of this year. 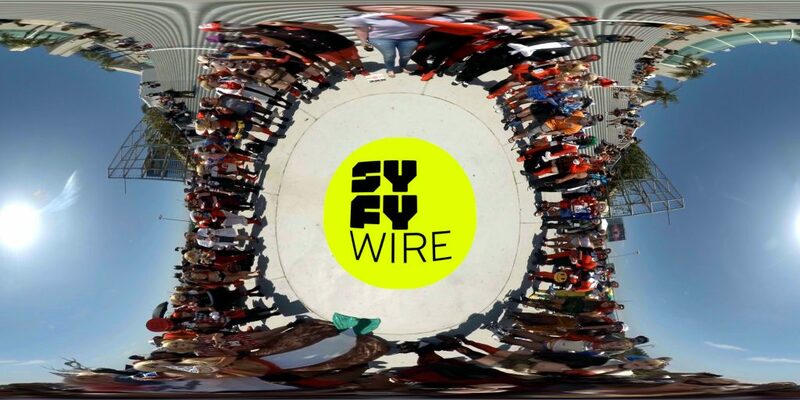 In August, Pixvana’s team went to Comic Con in San Diego to shoot at 360 piece for SyFy Wire and took their Insta360 Pro on its maiden voyage. 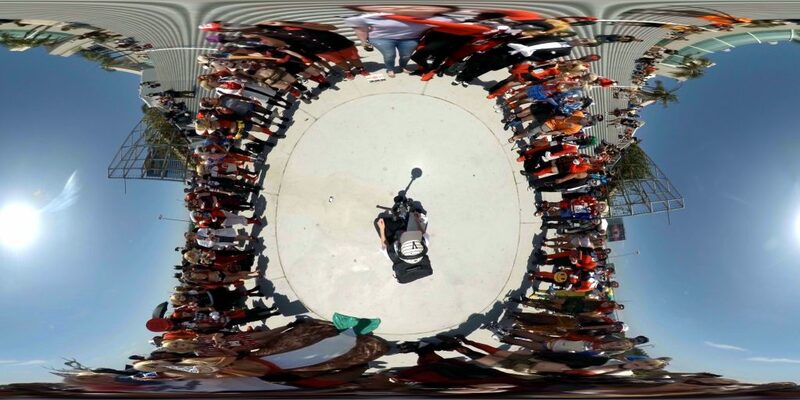 Immersive Shooter sat down with Pixvana’s Executive Producer Aaron Rhodes to talk about the Insta360 Pro, rapid production strategies, maximizing resolutionThe number of pixels in an image, typically presented as a ratio of the total pixels on x axis to the total pixels on th... More and why it’s important to future-proof today’s 360 videos. What were the biggest challenges of this shoot/what made it stand out from your other productions? The primary challenge was the turnaround. SyFy Wire wanted it to be fresh and fast, so we decided on a fly-by-the-seat-of-our-pants kind of style. The concept of having a reporter on the street was a great fit. It made it easier for us to rollTerm meaning “record,” dating back to a time when physical film was rolled on an axle past the gate of a camera. with the punches and capture the fleeting feeling of Comic Con. We shot a half day on Friday and then Saturday until 5 pm., and then we had to deliver everything by Sunday afternoon. We hadn’t done a production that fast yet. Prior to that, the shortest deadline we had was 3 days to post a piece from the Seahawks’ playoff games. Those types of scenarios really lend themselves to Pixvana’s cloud workflow, to get the masters to the cloud, render those out, edit them and deliver them in one fell swoop. It’s still too early to use Pixvana for this production, but that’s what we’re driving towards. 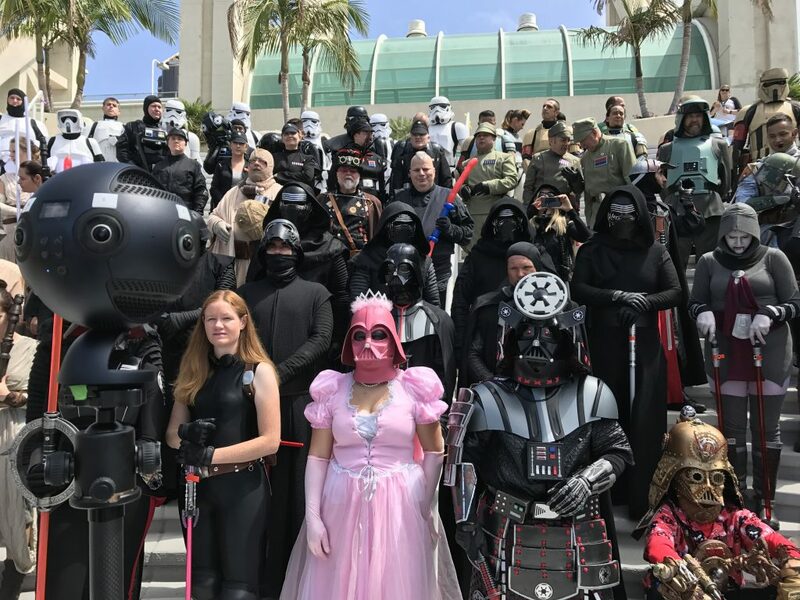 Pixvana used the Insta360 Pro, seen left, for the Comic Con shoot. Its live monitoring capabilites came in handy to ensure they got the shots they needed to meet a very short production timeline. What camera did you use for the project? We took our Insta360 Pro out on its maiden voyage for this project. It was really key to the success of this project to see the talent and validate that we got what we needed. We could go right into production knowing ‘Here are the five shots we’re going to use. It really brings communication back to the director. With the Insta360 Pro, you can see what you’re shooting so you know what you’re capturing and you don’t have to guess if you got the shot or not, a feeling very reminiscent of shooting on celluloid–calculating, shooting, developing and reviewing the next day. With the Insta360 it’s true to its name…instant! Last summer, we went down to LA and shot with five RED cameras using the Diamond Brothers’ Supersphere camera for a fashion shoot. We shot again in Toronto in the fall for a Volvo commercial this time with six RED Helium cameras. Both times we broadcasted each camera back to video village so we could talk to the talent on set and see what we were shooting. The Insta360 Pro really brings all that in a package that’s under $5000. Of course, the image fidelity of a handful of RED cameras compared to the Insta360 Pro is night and day, but I think of the Pro as the 2.0 version of the Nokia Ozo at 1/10th the cost. But, our go-to camera is still the Omni GoPro rig. The image fidelity is better than the Insta360 Pro. But, being able to preview a setupA camera position for a given scene. 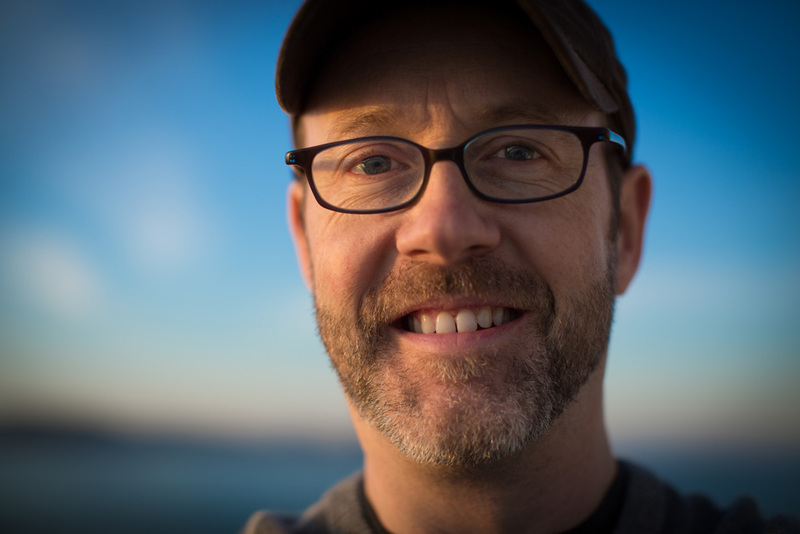 You might shoot more than one shot from a single set-up (wide shot and close-up). on my iPhone or iPad and composing my shots, moving chairs around, composing actors effectively, etc. is very useful. I’d love for there to be an Omni 2.0 where you could do this, too. I think once a larger camera company gets behind VR–and my bet is on Sony–I think they could really step up the camera game. What was in your gear bag for the Comic Con shoot, in addition to the Insta360 Pro? 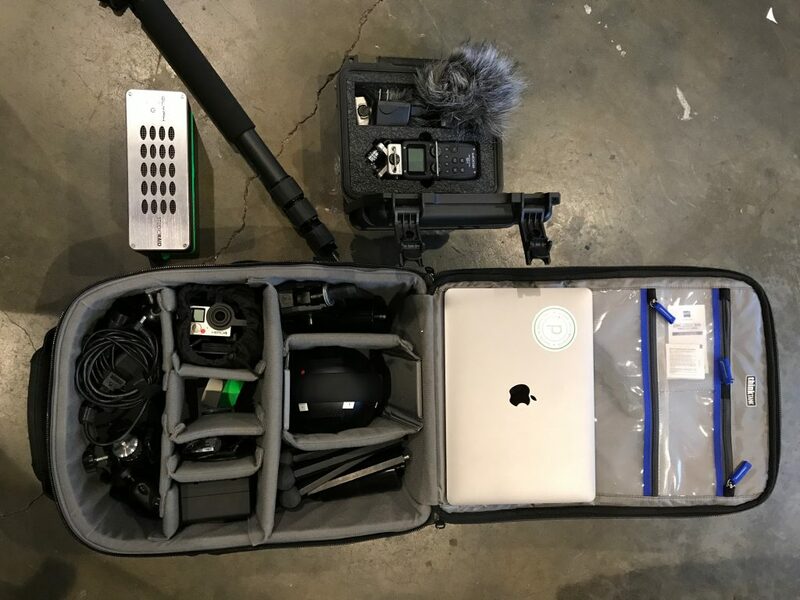 For audio, we have an offboard Zoom H5, a wireless lav mic and a handheld mic for the reporter on the street. For our monopod, we have the Feisol CM1471 with extra weights to screw on so it’s sturdier in windy situations…we had one tip over in Amsterdam in extreme winds once! And, of course, extra batteries and lots of SD cards. What production tips or tools did you employ for the Comic Con piece? We knew we would be in crowds. We knew people would be fascinated by the Insta360 Pro we were using, because it looks like a UFO, whereas with GoPro rigs people at least know what a GoPro looks like. So, we decided to put our audio tech at the base of the camera to protect the camera, help the talent and make sure she was capturing good audio. I think having Lauren [Kohler] sit near the camera was the right call for a shoot in the middle of Comic Con, in case Spider Man comes by and wants to knock over the camera. Crowds make me nervous when the camera is sitting unattended. We had her sit as small as possible at the base without touching the monopod. Then, we used a nadirThe bottom of the sphere. patch below the camera to cover her and the tripod. And that was a purposeful choice, we knew that we would do that when we went into production. Also, using the Insta360 Pro and having a video feed was the right call so we could make adjustments on the fly and make sure we got the right shots rather than hoping we did. I’ve been told by Insta360 that in an upcoming firmware update that you’ll also be able to hear the audio, as well, so I’m looking forward to that. Were you worried having Lauren sitting down would affect where the talent was looking, like she might look at Lauren instead of the camera? No, not really. Lauren’s head was down, concentrating on the audio levelsThe adjustable sensitivity settings of microphones. Levels are set (and changed as necessary) to best capture the vocals... More. But, knowing where to look is always tricky in 360. No one knows where to look, so we just have to tell them at the start to talk directly to the camera and, in this case, have the interviewee connect directly with the interviewer, not the camera. What would you have done differently, if anything? I wouldn’t want to change the run-and-gun feel of it, but I think I’d build in more pre-production time with the talent. We literally just said, ‘Hi, how are you?’ and started shooting. I would give more heads up on what the field of viewThe angle of space viewable from a given lens position. is, stay in the zone to avoid crossing stitch linesThe seams in a 360° video where footage from one camera has been combined with another., etc. What other production tips have you learned that you think every immersive shooter should know? 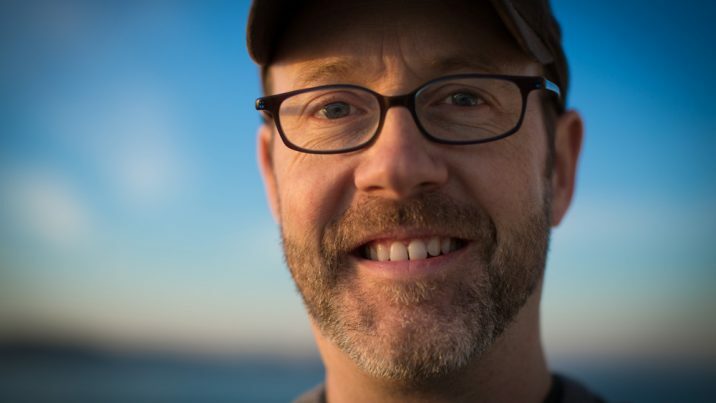 Many of Pixvana’s founders come from rich visual backgrounds, so image fidelity is paramount. Of course we want a compelling story, but we also think a lot about how our video will be shared and how it will look. I think we have our hand on the pulse for the optimal recipe to achieve those visual qualities. One of my biggest tips would be to future-proof your videos. Don’t shoot it and master it at 2K! Shoot it at 8K and then down-res it because today’s headset may only be able to show 2K material but tomorrow will be a different story. Pixvana’s content is mastered-out at the highest resolutionThe number of pixels in an image, typically presented as a ratio of the total pixels on x axis to the total pixels on th... More possible. We’re creating 3.0 content and sharing it on 1.0 headsets. Tomorrow, our content will only look better, whereas much of today’s content won’t hold up because people aren’t future-proofing their content. Pixvana’s in-house production team includes Rhodes and three production assistants. he company ran a nimble crew, just the producer/camera person and a sound person, in addition to the crew coming from SyFy Wire. How does the production arm of Pixvana fit in with its streaming solutions side? It’s a great synergistic relationship. We create content to help the developers understand what creators’ needs really are. We’re essentially our own first customer. We help them understand our workflow and pain points throughout our productions. Understanding the problems people are butting up against that prevent them from telling stories in better, easier ways helps them create a better product. At Pixvana, I fill three buckets: create content to help the developers learn, we adapt and create our own workflow, and we create marketing materials for Pixvana to show what VR content can look like. (We actually prefer the term XRAll of immersive media encompassing VR, AR, MR and beyond. because VR is limited, but XRAll of immersive media encompassing VR, AR, MR and beyond. can contain VR, AR and MR). Ultimately, we’re helping pave the way for Pixvana’s system, which is currently in beta, and we get access to the latest and greatest tweaks. One of our beta testers in LA does animation pieces, so the resolutionThe number of pixels in an image, typically presented as a ratio of the total pixels on x axis to the total pixels on th... More is infinite, but then they have to dumb it down to 4K–or 2K per eye if it’s stereo!–to share it, and that’s lame. It’s disheartening to shoot at 10K and deliver it at 4K on YouTube. It’s fantastic to share something that preserves that image fidelity across the interwebs, something that preserves what we work on so hard. It’s awesome to be a part of a movement towards higher fidelity experiences. It feels very reminiscent of the DV revolution of the late 90s, but now we’re dealing with terabytes instead of megabytes.